I’ve been out buying fabric at every Quilt Shop I visit and for the last 3 weeks I’ve visited 3 quilt shops. I think I’ve got a total of 11 yards, which could have been worse since one of the shops offered me 25% off. ;0 I didn’t buy as much fabric in the shop, Fabric Boutique, in Las Vegas but they had some wonderful designs up. 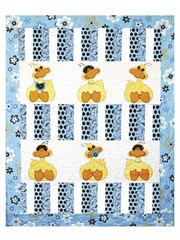 I bought 2 baby quilt patterns and a dragon one. 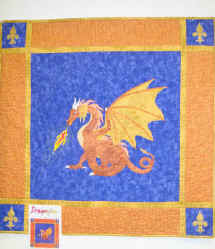 I would really love to make a dragon quilt for my son. Since I’m trying hard not to buy kits this year, I purchased the patterns for later consumption. I’m starting to build a good stash to use up so I think that works. Cute patterns. 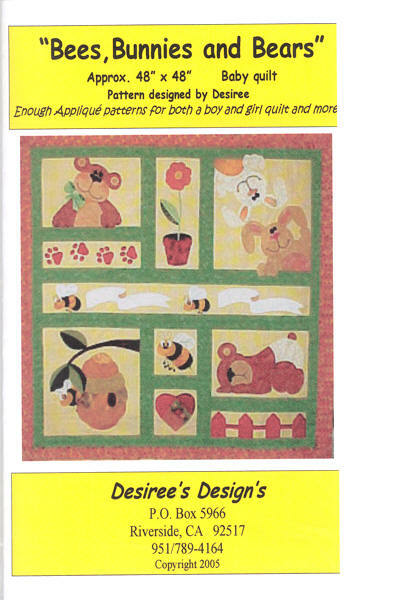 Your son is going to love his dragon quilt. Those ducks are just too cute. Good luck making your own kits!